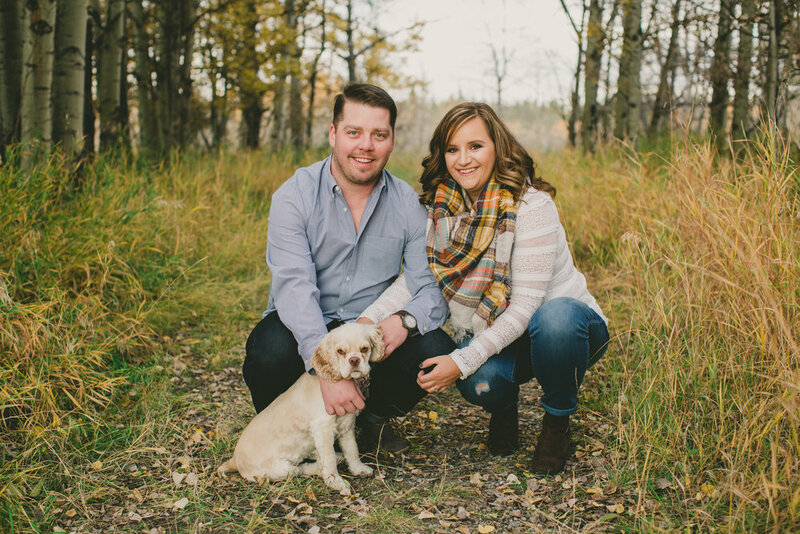 Meet Marc, Krista & sweet little Maggie! 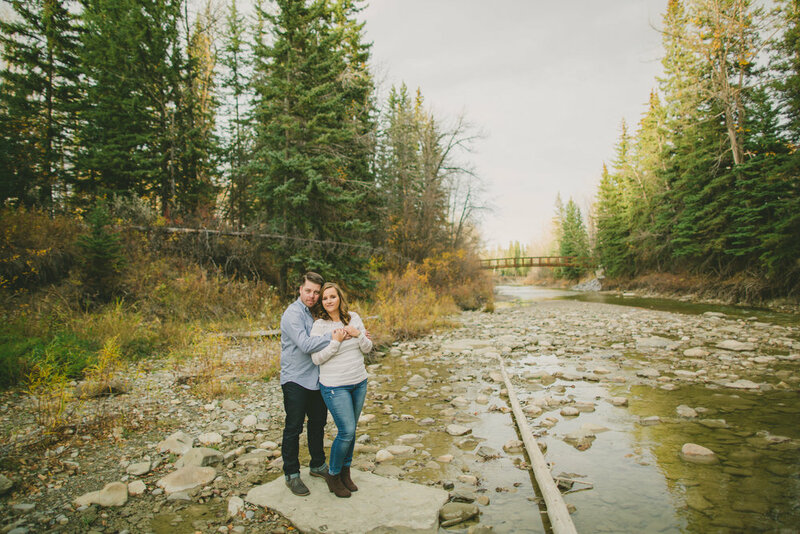 With Shannon Terrace being so close to their home, and a favourite location to walk Maggie, it was a stunning and easy location to shoot their engagement session at. I got there early and had time to walk around and enjoy the rainbow of everything Fall before they arrived. 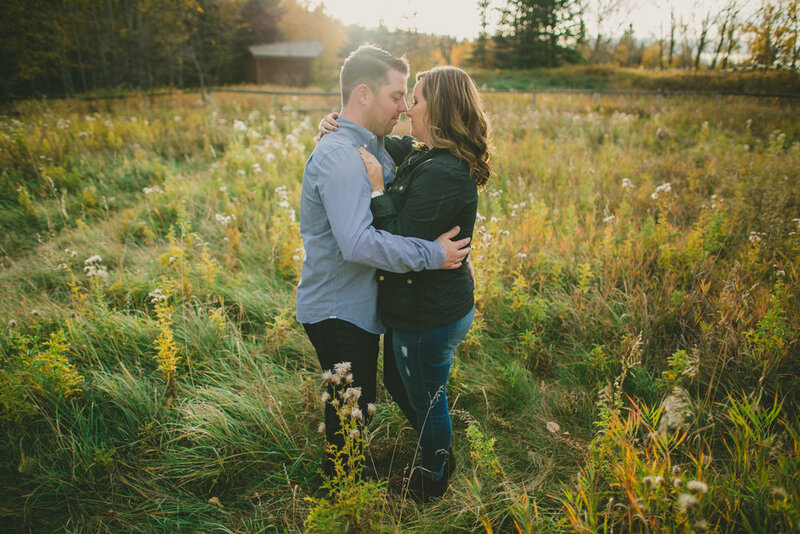 From the endless colours to the rich smell of the season that I desperately wish I could bottle up, I was filled with gratitude to have this wonderful couple to photograph on such a perfect evening! 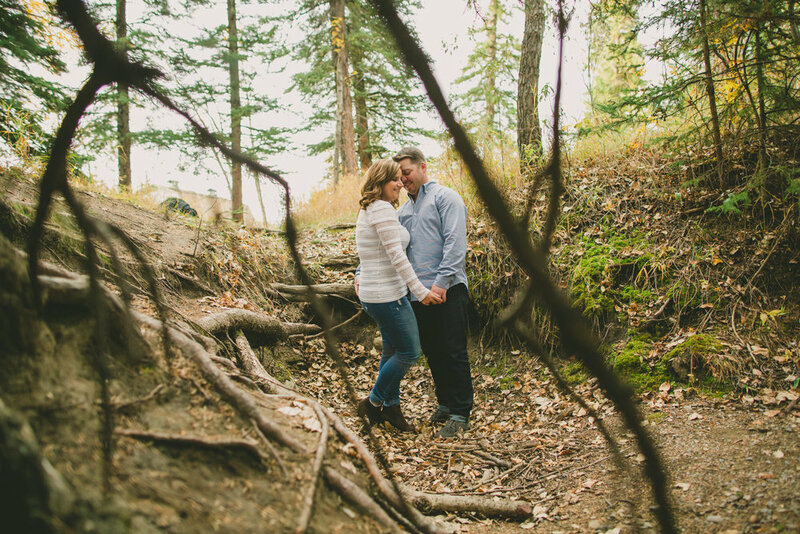 Marc and Krista showed up with huge smiles on their faces and ready to shoot! 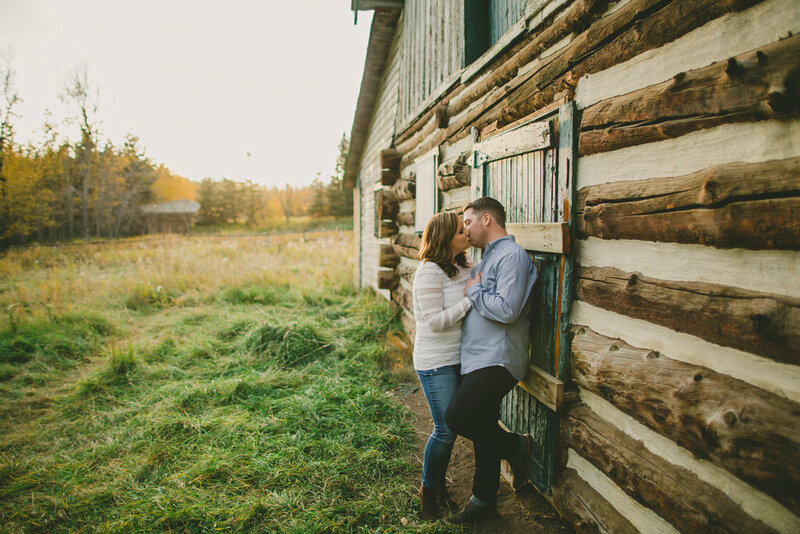 We took our time and moved between a few different places, but my favorite had to be the shots of them in front of the green barn door when Krista was wrapped in her plaid scarf...I am a huge plaid fan! The shoot went amazing and I really enjoyed getting to know and learn about these two as a couple. They are laid back and easy to chat with, which made me feel like we were already old friends! 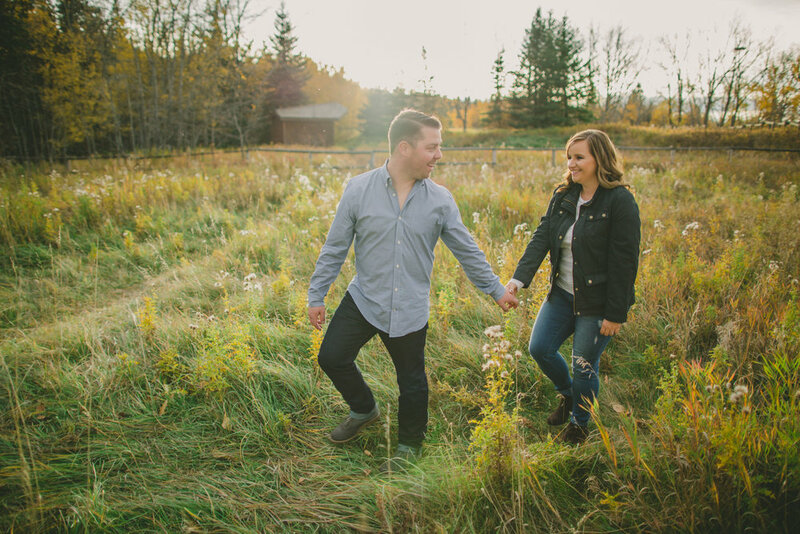 With their big authentic smiles and a willingness to love each other out loud, lI understood quickly that Marc & Krista fit right into my vision of ideal clients. 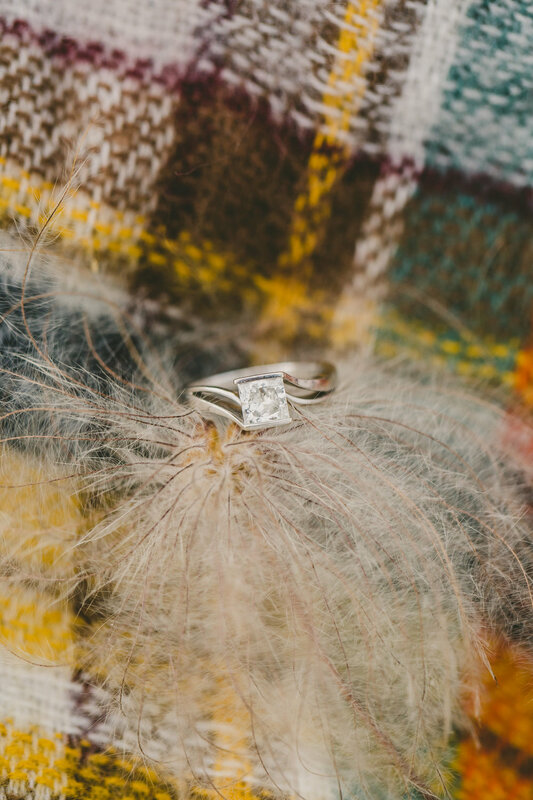 It truly is why engagement sessions are so important to me! I not only get the chance to know my clients as new friends but also how they are friends with each other...because in the end THAT is what I am there to capture!